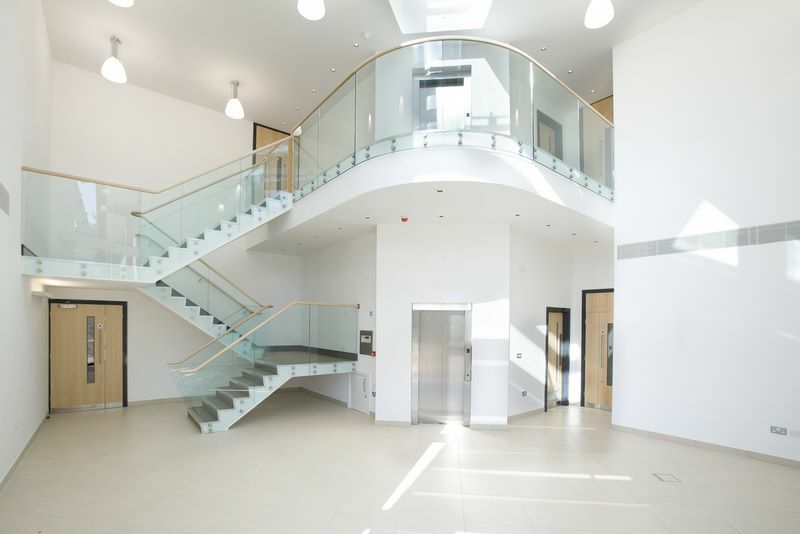 Deal Varney manage an extensive portfolio of both commercial and residential properties. The portfolio ranges considerably in size and includes small parades of shops, multi-let office buildings, industrial estates and business parks on the commercial side, while the residential portfolio has town centre flat blocks, flats above shops, period converted property and low rise suburban estates. Click here to download a selection of our current portfolio. The management department approach property management on a personal basis and tailor the service provided to suit the property and the client concerned. We believe that all properties and clients are different and do not adopt a standard approach. Clients and tenants alike deal with known individuals at Deal Varney and we are firm believers that this personal approach builds good relationships from which all parties benefit. Rent Collection – Invoices are sent out 3-4 weeks before the due date and major emphasis is placed on obtaining the money promptly and passing this through to the client. All funds received are handled in accordance with the members’ accounts regulations of the Royal Institution of Chartered Surveyors (RICS). Service Charge Administration – Agreeing an annual budget, invoicing and collection of service charge. Chasing arrears and dealing with court action if necessary. Accounts information maintained and an annual reconciliation carried out at the end of the year or accounts information collated and made available to accountants/auditors for year-end completion of accounts. Inspections – Regular inspections to ensure tenants are complying with lease covenants and that problems are dealt with promptly. Enquiries – Dealing with all matters in relation to the property including enquiries by residents and third parties. Insurance – Dealing with the renewal of buildings insurance and liaising with brokers, processing any claims on the property. Arranging regular re-assessment of the building sum insured. Service Contractors – Appointing and overseeing contractor’s repairs, cleaning and maintenance etc. We maintain an approved list of contractors and for tasks of any size, we obtain quotations and then select an appropriate contractor. Records – Maintenance of accurate and up-to-date property records. Legislation – Buildings are maintained in accordance with local/national legislation covering Health and Safety, Fire Regulations, defective premises etc. Companies House – In conjunction with accountants we would deal with Companies House matters such as annual returns, corporation tax, notification of change of directors etc. We would also hold the share register if required and deal with the issue of new share certificates as and when required. We often are appointed as Company Secretary. Assignment and Sub-Letting. Applications received and processed to a stage where full information is available on which recommendation for acceptance/rejection can be made. A separate charge is made to tenants for this work. Reporting – Tailored to suit individual client requirements. Quite often, it is in the form of quarterly statements of income of expenditure, often timed to meet VAT quarters. The RICS is a Designated Professional Body under Financial Services Authority rules and have issued Licence No 137 to Deal Varney, so that we are authorised to handle insurance work. Property management tasks are carried out with a view to the overall return to the client and where opportunities arise for redevelopment, lease restructuring, physical improvements etc. these will be drawn to the client’s attention. The emphasis is therefore on active management to improve an investment wherever possible. Fees for services are agreed on an individual basis reflecting the nature of the property involved and the task required.